One of Missouri's biggest newspapers is calling for Democratic State Sen. Maria Chappelle-Nadal to resign after her controversial Facebook post hoping President Donald Trump will be assassinated. The editorial board of the St. Louis Post-Dispatch wrote Monday that "no clear-thinking public figure" would express hopes for an assassination of the president, no matter how angry she was over his response to the violence in Charlottesville, Va. Rarely has such a disparate political chorus sung in such complete harmony in Missouri. Yet, Chappelle-Nadal isn't getting the message. No matter how angry she was at Trump for his lax condemnation of the white supremacists who marched in Charlottesville, Va., on Aug. 12, no clear-thinking public figure would express hopes for his assassination. For any politician to serve effectively, she or he must be able to use the powers of persuasion to rally other elected officials to whatever cause is driving the politician's agenda. But if the politician's abrasive antics and words send potential allies running in the opposite direction, that person's agenda will go nowhere. That last sentence doesn't just apply to Chappelle-Nadal but also to the president himself. Rather than show herself to be better than Trump, she lowered herself to his level. "I hope Trump is assassinated!" Chappelle-Nadal wrote on Aug. 17 on her Facebook page. She took down the post quickly after publishing, but it had already made national news and suffered severe criticism. 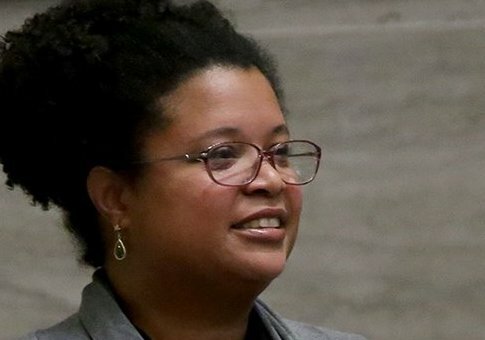 The St. Louis newspaper predicted that if Chappelle-Nadal stayed in the Senate, she would be shunned at a minimum and expelled at a maximum. They also noted that her legislative agenda would meet brick-wall opposition. "No politician can be effective under those circumstances, which is why Chappelle-Nadal needs to exit gracefully," the editorial board wrote. She has stated she will not resign, however. At this point, the Post-Dispatch noted, Chappelle-Nadal would do nothing but damage the already struggling Democratic Party in Missouri. The Washington Free Beacon reported last week that Chappelle-Nadal also shared a Holocaust-themed tweet in reference to Greitens, who is Jewish. She deleted it and did not respond to requests for why she retweeted the message that suggested Trump's policies would lead to the return of concentration camps. This entry was posted in Politics and tagged Donald Trump, Maria Chappelle-Nadal, Missouri, Resignation, Senate, Senate Democrats. Bookmark the permalink.